Helzer went on to teach communications classes at Aims Community College and University Schools. She has a passion for education and learning and is eager to share opportunities with area youth regarding conservation practices and encouraging respect for our natural resources and the many benefits being a good steward of the land can provide for their future. Helzer is already working to develop on-going community partnerships with schools, municipalities and businesses to expand knowledge about WGCD’s many services and serving on the Greeley Chamber’s Ag Committee. Her resume includes working for KFKA Radio, Bonnie Dean & Associates, United Way of Weld County, Weld Library District, DRIVE Smart Weld County, Noble Energy; and starting her own Marketing and Event Planning business. She gave birth to Northern Colorado Women in Business nearly ten years ago and facilitates networking opportunities for hundreds of local women who believe in supporting local businesses and giving back to nonprofit organizations that help those in need. Helzer is a team builder who has experience in fundraising and friend-raising for many area nonprofit organizations. She has volunteered many hours and is comfortable managing volunteers through a wide array of projects. “I’m fascinated by the agriculture services and resource opportunities the WGCD offers its stakeholders. 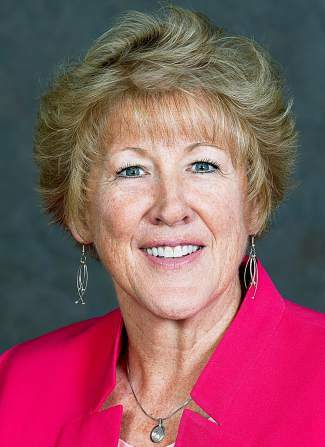 It will be a privilege to work with the District’s landowners and our staff,” Helzer said. “I’ve always loved the land, nature and making things grow – it is thoroughly satisfying and now I get to do it as this next chapter of my career. I feel very blessed.” Stop in and say hi any time.